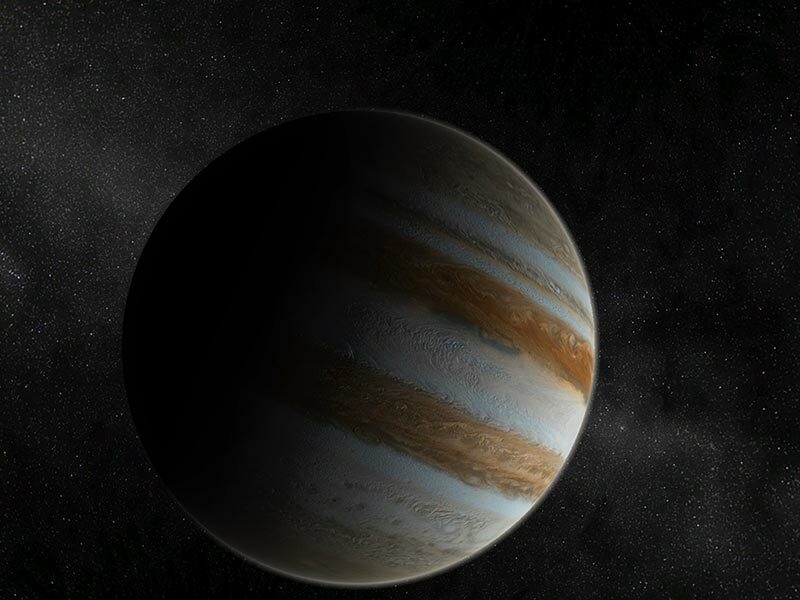 ﻿ Jupiter 3D Screensaver – Travel as quickly as a thought to the remote planet of Jupiter! Even a person who is not interested in astronomy, is not left detached when he sees the real photographs of the biggest planet in terms of size of the Solar system. Mars separates Jupiter and the Earth, but the series of planets that are not classified as terrestrial-like because they are not covered by a dense envelope, starts at Jupiter. This gaseous giant is 12 times bigger than the Earth in terms of size, while its mass is twice greater than the mass of all the other planets of the Solar system altogether. It is not possible to determine precisely the inner composition of the Jupiter, but the scientists have studied quite well the upper layers of the atmosphere where oxygen and helium prevail, but more complex compounds are also present (water, methane, ammonia, hydrogen sulfide). 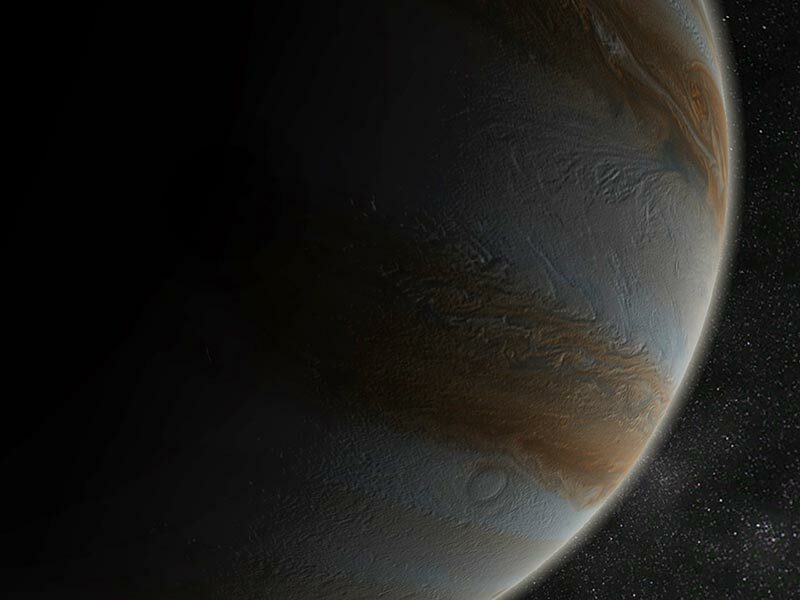 According to the results of the multiple modeling, the surface of the Jupiter consists of a layer of metallic hydrogen which is affected by high pressures and temperatures that form a powerful magnetic field of the planet - the planetary core which bigger than the Earth in terms of size. One more interesting fact is that the Jupiter emits a greater quantity of warmth than is absorbed from the Sun. The nature of this phenomenon is not explored yet, but many scientists think that the Jupiter is an example of a failed start: regarding the immense mass, the planet had the chances of turning into a red dwarf start. The Jupiter 3D screensaver for PC is the opportunity of discovering for yourself the beauty and power of this celestial object, this striped gigantic sphere which is inferior in terms of brightness only to the Moon and Mercury. It possesses a considerable number of satellites (according to the latest data, the Jupiter has more than 65), the planet has barely visible rings, like those of the Saturn, that make up the asteroid belt. All of these specialties of the biggest planet are accompanied by nice melody and demonstrated with the convincing clarity by the Jupiter 3D screensaver.